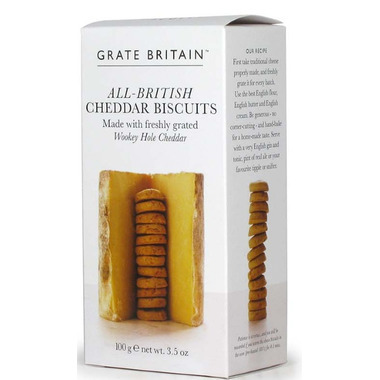 These Grate Britain British Cheddar Cheese Biscuits are made with freshly grated Wookey Hole Cave-Aged Cheddar. Real English Cheddar, hand-made in the West Country by Ford Farm. Wrapped in cloth for long maturing. Aged in the caves at Wookey Hole, Somerset. Its mellow, deep flavour captured to put the Grate into Grate Britain. I love this Cheese bites. I keep them in my pantry for unexpected guests, or for a nice treat for my husband and I.